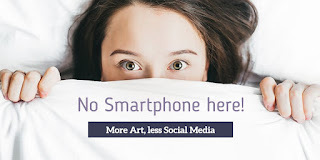 New Year's resolutions, more Art and less social media! The first time I've ever made New Year's resolutions, so good so far!I don't know if it's an age thing? However, this year is the first year I have felt I should make some New Year's resolutions and stick to them. Perhaps this is because I know what I would really like to achieve from them, rather than just plucking at resolutions because it's January and thinking you ought to. So what do I want to achieve? There are two things, firstly to be consistent in producing more Artwork and secondly to be healthier and a few pounds lighter. My hope is that improving my fitness levels will also help my work output. 1. Paint more. 2. Less Social Media time. 3. Increase exercise. 4. Loose weight.